Sculpt and perfect your brows with this innovative new brow range. We’re excited to introduce to you our new brow range! 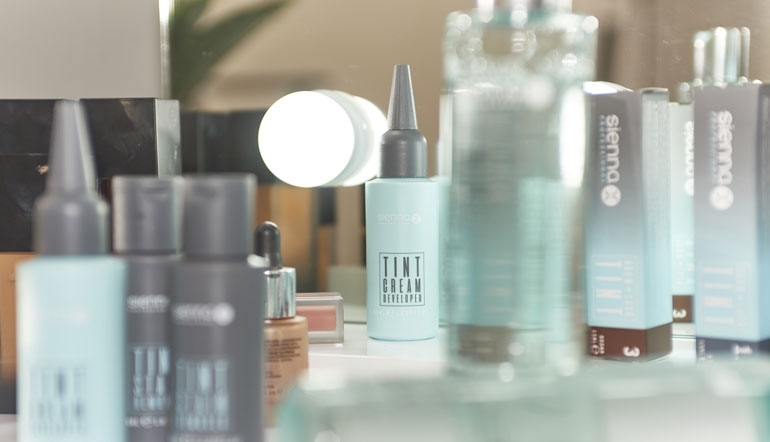 Professional Sienna X Brows includes the Sienna X Brow Tint Range, which consists of four shades of formula generated by colour experts to match your client’s exact brow shade and tone. When used alongside the Sienna X Tint Developer, the end result is colour held from the inside to the outside of the hair for long-lasting, glossy and utterly natural looking brows! For any stains that occur, the Sienna X Tint Stain Remover works quickly to remove stains from skin! To compliment the Brow Tint Range, there is also a double-ended Sienna X Brow Pencil, Fixing Serum and an Illuminator Duo – the ultimate tool to finish and perfect your client’s brows by creating definition and enhancing the brow’s natural arch! Completing the Sienna X Brows Range is the Sienna X Micellar Water, which has been formulated with Panthenol Pro-Vitamin B5, Ginger Root Extract and Chamomile Flower.